Delhi Master Plan 2021: Supreme Court Raps DDA, Says "No Dadagiri"
New Delhi: Asking the Delhi Development Authority or DDA to stop "dadagiri", the Supreme Court has stayed the proposed amendment to Delhi Master Plan 2021, which sought to legalise extra construction of both residential and commercial complexes. Coming down heavily on the DDA for not filing an affidavit analysing the environmental impacts and safety issues of the proposed changes, the top court said, "this dadagiri has to stop...you can't tell Supreme Court that you will do what you want to do." The Supreme Court was hearing petitions against the unauthorised use of residential premises for commercial purposes. A month ago, the top court pulled up the urban body, saying it had its "eyes closed" and were "waiting for disaster to happen", while hearing a petition filed against the sealing of commercial premises in Delhi, on the orders of a court appointed panel. A bench of Justices Madan Lokur and Deepak Gupta said, "You have learnt nothing from Uphaar fire tragedy and incidents in Bawana and Kamala Mills." 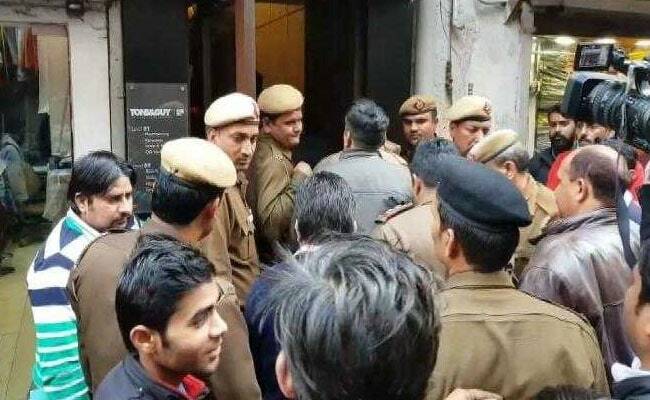 The court, today, reprimanded Bhartiya Janata Party lawmaker, OP Sharma, for raising slogans against Chief Minister Arvind Kejriwal, during the sealing drive by the monitoring committee in east Delhi. "You can't use derogatory language or slogans against the Chief Minister or Prime Minister, just because he belongs to another party", the bench said. The court though dropped contempt charges against Mr Sharma and Councilor Gunjan Gupta , who had obstructed the sealing drive. The DDA, headed by Lieutenant Governor Anil Baijal, had recently approved the proposed changes to some rules in the city's Master Plan 2021, which could benefit traders facing the threat of sealing. The top court had earlier said, it appeared that the DDA was "succumbing to some pressure...what about the people who are staying in Delhi?"